Are you in an abusive relationship which affects your freedom, curtails your independence and spoils the entire happiness of life? Are you well equipped with the knowledge and information on the ways of recognizing when the partner turns into abusive? Many people go on moving ahead with abusive partners as they misunderstand the abusive behavior of the partners as possessiveness, extra care or over affection. But it is, in fact, an abnormality in relationships and if not realized in time and mended in the way it should be, abusive behavior can spoil the relationship and affect the entire peaceful atmosphere of life itself. Certain people misconceive abusiveness as physical attack or dominance. But in fact, abuse can be emotional, psychological, financial sexual or physical. 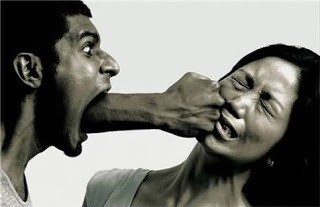 Abusive behavior is the result of imbalanced or unstable mentalities of the partner. When he/ she takes control over the partner or tries to express the affection excessively, it may become abusive. Abusive relationships are unhealthy and destructive for both the partners in a relationship..